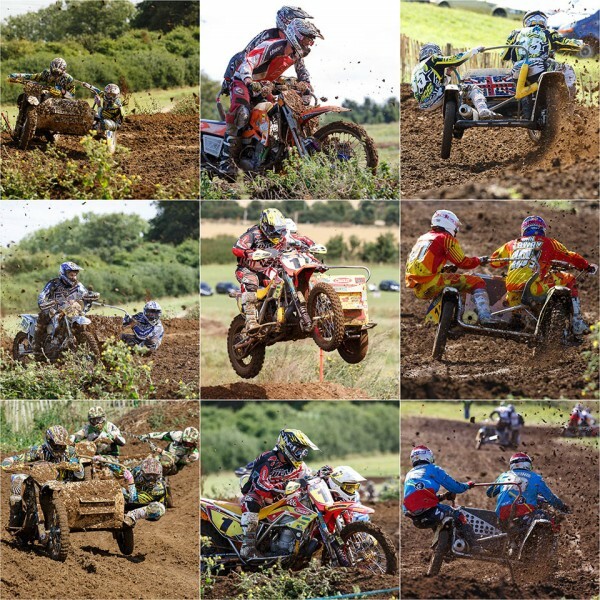 This past weekend I photographed the Maxxis ACU British Sidecarcross Championship at the Toddington motocross track. 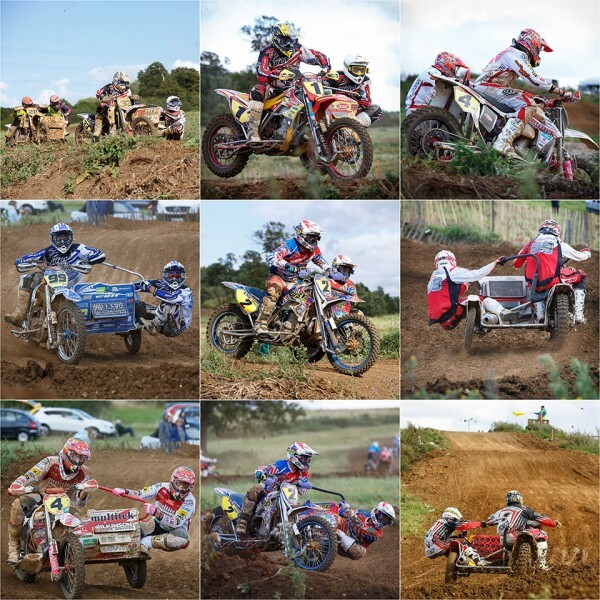 Sidecarcross is like motocross but with the added complication of a sidecar and passenger. The passenger and the driver of the outfit move around on the machine much more than you would see for a motocross rider. Moving around optimises their weight over the driving wheel or to stop the sidecar flipping over; it does happen from time to time. The sidecar passengers are amazing daredevils hanging off the side of the sidecar to get their weight further out for balance. The top passengers were simple to spot – they hung off the side way more than the rest. During the day there was a practice session and three races, to give you a taste of the sport and my pictures here’s a couple of montages of pictures from each of the three races. Each picture can be clicked to visit an online gallery. Race 1 was won by #1 piloted by Stuart Brown and Paul Horton, with #99 piloted by Daniel Millard and Joe Millard in second and #4 Brett Wilkinson and Steven Kirwin in third place. Race 2 was won by #99 piloted by Daniel Millard and Joe Millard, with #4 Brett Wilkinson and Steven Kirwin in second and #2 piloted by Richard Jenkins and Daniel Chamberlain in third place. Race 3 was won by #4 Brett Wilkinson and Steven Kirwin, with #99 piloted by Daniel Millard and Joe Millard in second and #2 piloted by Richard Jenkins and Daniel Chamberlain in third place. 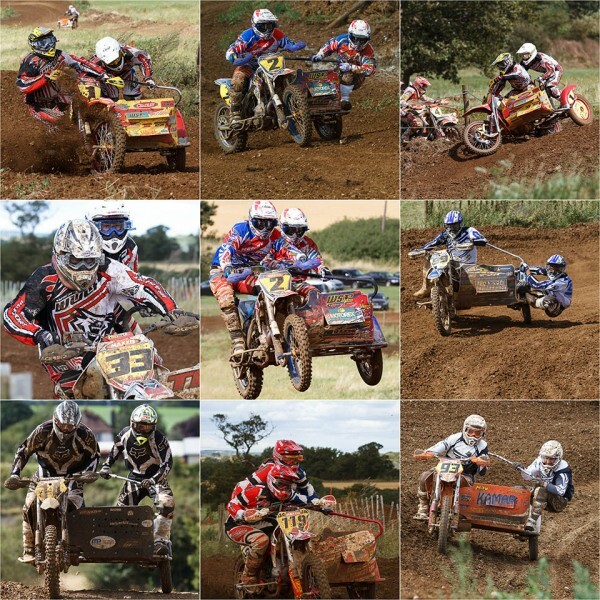 If you would like to see more of my sidecarcross pictures then head on over to my online gallery where you will find two hundred pictures with prints available to purchase for a small fee. Each of the three pictures above can be clicked on to take you to the specific race galleries too. From previous visits to motocross events I knew that I was unlikely to need really long lenses, so a 70-200mm f/2.8 proved to be the only lens I used all day. For some of the pictures even 70mm was a very tight crop. Look at the head shots of the racers particularly in race 2 where I mostly used the EOS 7D. The crop sensor making the lens effectively a 112-320mm zoom. Most the pictures were captured on the EOS 5D Mark III, and yes I used back button focus. I’ll share some more information about my AF configurations for these kind of sports soon. Since there was track time between the sidecarcross races then the organisers Luton & District Motorcycle Club ran several races for solo riders. I will add to my online galleries with these pictures shortly.